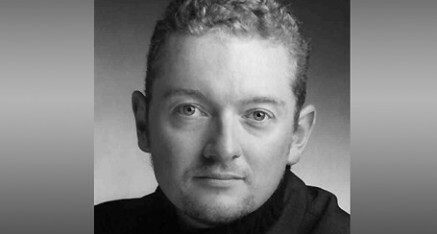 The British baritone Will Allenby is one of the UK’s most experienced performers. He has developed a high-profile career in opera, musical theatre and cabaret. William made his solo debut at the Royal Opera Covent Garden (in La Boheme) and has been as regular principal with Welsh National Opera, English National Opera (including starring opposite Alfie Boe in The Mikado), Scottish Opera and Opera Holland Park. He has broadcast frequently for the BBC Radio 2 and 3, appearing many times as a star singer on ‘Friday Night is Music Night’ in a repertoire including, Les Miserables, South Pacific, Oklahoma, Carousel and Mack and Mabel. Will is heralded in the international press both for the quality of his singing and his acting and stage skills in both comedic and dramatic roles. Opera today commend ‘his brooding, powerful bass-baritone’, whilst the New York Times say that ‘the singers act so well you could almost think they were performing in a straight play. Mittenhoffer’s put upon doctor was the excellent William Robert Allenby’. However, it is his comedic skills which draw particular acclaim. As Doctor Bartolo in The Barber of Seville for Welsh National Opera in 2011 the Birmingham Post reported that ‘William Robert Allenby’s fusspot Bartolo proves to be one of the comic highlights of the performance, spilling over with slapstick and silliness’, whilst The Public Reviews describe his performances as Pish-Tush in Jonathan Miller’s acclaimed production of The Mikado at English National Opera as ‘an inspired piece of characterisation sung with delicacy and refinement’. Will has also achieved considerable success with his one-man shows, ‘The Music of the Night’ and ‘An Enchanted Evening of Song’, performing in theatres around the UK and for the luxury cruise lines over the last 15 years. Since 2003 Will has been a firm favourite with audiences as a headline-act for Cunard, Holland America, Crystal, RCCL, Princess, Saga, Fred Olsen, NCL and Radisson. Will is delighted to announce that he will be taking his new show ‘With a Song in My Heart’ on tour in 2019. A special feature of the show is his tribute to Michael Ball and Alfie Boe with music from Les Miserables. His natural charm and charisma combined with quality of his baritone voice and gift for communication makes his shows an unforgettable and very entertaining experience. With repertoire ranging from the West End and Broadway (including Les Miserables, Oklahoma, Phantom of the Opera and Man from La Mancha) through to popular hits (including You Raise Me Up) and light opera classics, Will offers a well contrasted and excitingly paced show of a high standard. A highlight of his shows is his solo piano spot where he accompanies himself in a mixture of nostalgic and comedic songs.